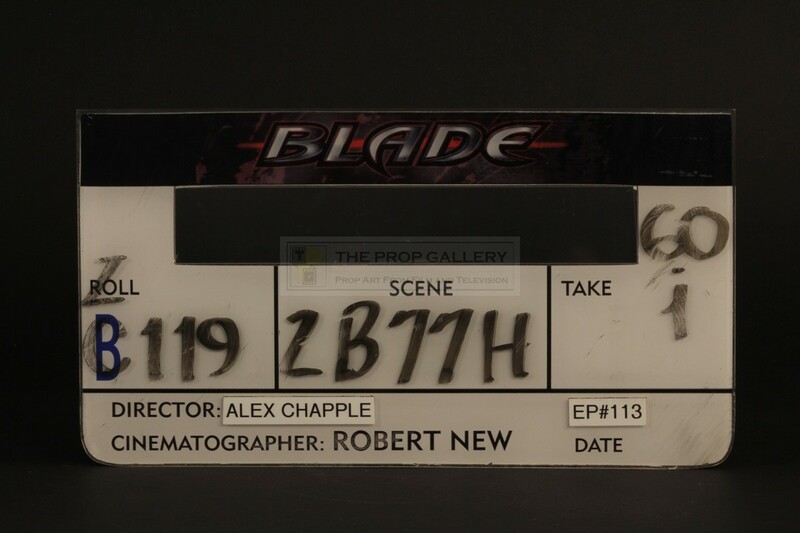 An original clapperboard face used in the production of Blade: The Series, the 2006 television series which follows on from the popular film series starring Wesley Snipes. This is an original face used on one of the modern style digital clapperboards during the production, these are made to be removable allowing the more expensive digital boards to be utilised on several productions rather than just one as was common with the more traditional sign written slates. 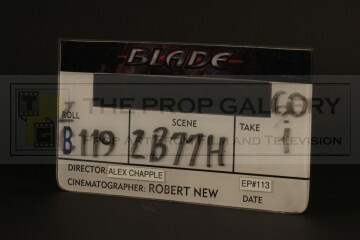 Constructed from clear acrylic with an applied graphic bearing the series logo the face features various hand inscribed details from its final use during the production with the name of director Alex Chapple applied on printed tape, to the verso are a number of velco strips used to attach the face to the digital clapperboard. 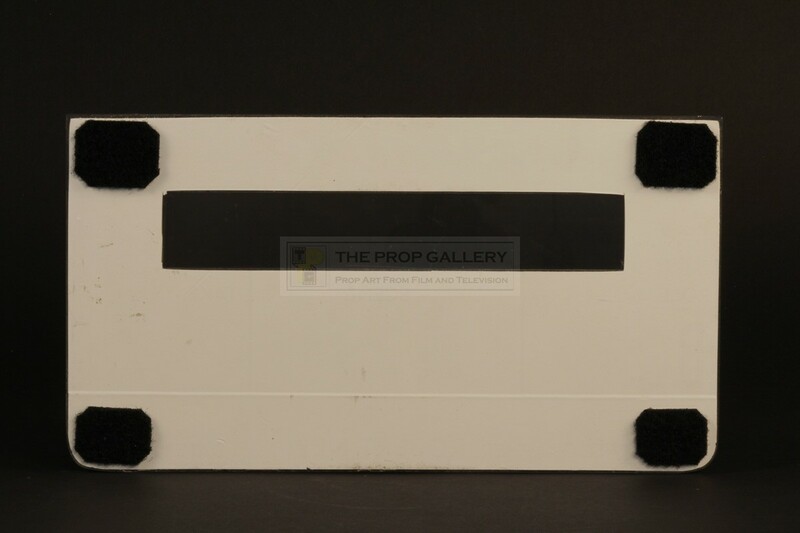 The clapperboard face measures approximately 11" x 6" and remains in excellent condition with some light surface wear consistent with production use, overall very fine. A displayable production artefact from the series.